Fast, efficient and great flowers! Good Quality Flowers, delivered on time, what more could I ask! Flowers good, prompt delivery, but as no-one was at home the flowers were left on the door step in full sun. My Mother was thrilled with her flowers and chocolates. I am so pleased I chose direct2florist and will be using them again. Can't fault the presentation and delivery time was just about on the money...thanks so much! i have used this service twice recently and the flowers were on time, the recipients were delighted . so all in all great service! I run a large panelbeating business so sometimes if we have an issue with a car I like to send my clients flowers , it softens the blow if the car is delayed! well done!! My sister who was recovering from an op was delighted. Well I didn't get to see the flowers as they were ordered from the uk to Australia &#55356;&#56806;&#55356;&#56826; but my Aunt loved them . My sister was delighted with the flowers she and her husband received from me delivered by Midland Flowers. I shall certainly be confident enough to use the company again. Many thanks. I am thoroughly disappointed with the flowers I ordered for my daughters birthday, I think that they were overpriced, a poor choice of flowers that looked as though they had been put together by an amateur, they were delivered as requested, which was good, but after two days some of the blooms had already wilted, the 'bouquet' was certainly nothing like the size that I had expected, overall very poor value for money. I realise flowers in Australia are expensive but I really feel it was not value for money. Thoroughly unhappy!!! My Sister assures me the flowers are always lovelly and that the delivery man/owner of business is a very pleasant person. The flowers arrived extremely quickly and was very impressed with the quality, size and how nice the flowers were. The flowers were beautiful and much appreciated. Flowers left outside all day, home owner didn't know they were there. The cost was high for type of flowers. Ordered the flowers for a very close friend of mine for a special occasion, the flowers were wilting on delivery and only lasted a few days. Extremely disappointed with the quality and quantity of the flowers. The recipient of the flowers and myself are making a complaint, hopefully this will be rectified in some way, however l will go back to using Interflora. Brilliant service and wonderful products! I didn't see the flowers but my niece said they were beautiful. The flowers were beautiful, she was delighted and has sent me photo's, I am so pleased with the service they provided. Thank you. 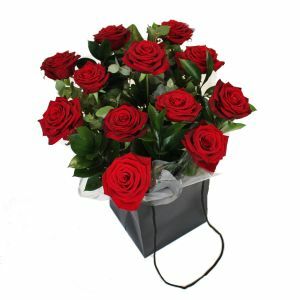 I ordered these flowers for my friend in Perth . I'm in the uk and found the process very easy and simple to do.my friend said they were beautiful so thank you . Sent flowers for my aunty and uncles Golden Wedding Anniversary and they were very pleased with the flowers they received. I had asked if the florist could use gold ribbon or paper as a special request and they did - will definitely use again. Delivered very early in the morning which was appreciated. Bit smaller than the image shown but still a nice bouquet. Thanks. Excellent, nice flowers delivered speedily. I am happy with professional serviece received from Midland Flowers. Highly recommended customer service. Andrew. 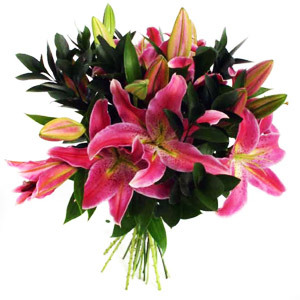 I was very happy with your service, the flowers were delivered on time and in good condition. I live in Canada and I sent my parents flowers for their Diamond Wedding Anniversary (60th). In the special requests section I asked that if it was not too much trouble, could they Google a Canadian Flag and possibly make a small one to put in the arrangement, They did this for us and my parents were thrilled and knew who the flowers were from immediately. I was so impressed. 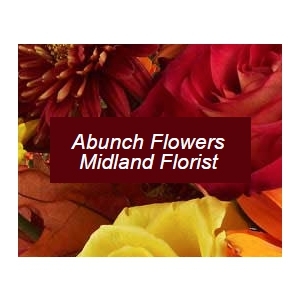 Next time I send flowers to them I am going to request Midland Flowers. Thank you so much for fulfilling my special request. Sarah Plewright, Calgary Alberta Canada. The best floral service I have ever experienced. Will definitely use your service in future.